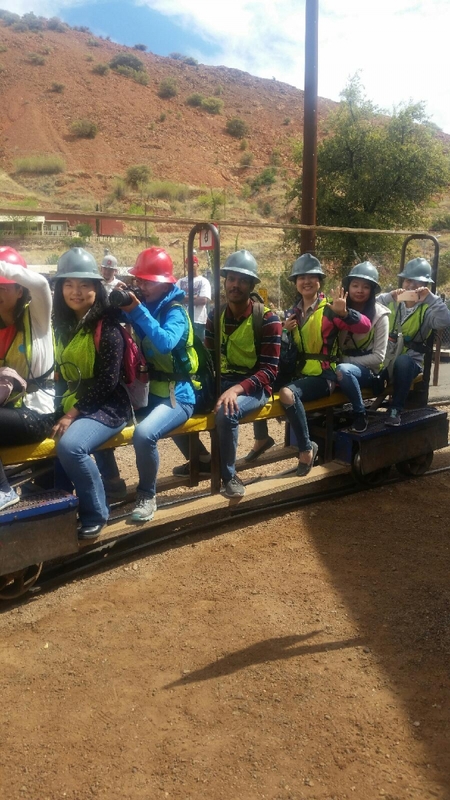 International students at the University of Arizona (UA) experienced the Old West this spring with a visit to Bisbee, a city known for its rich mining history and vibrant, quirky culture. Ninety miles southeast of Tucson, Bisbee is nestled within the Mule Mountains and filled with shops, restaurants, and galleries—all with Old West architecture. 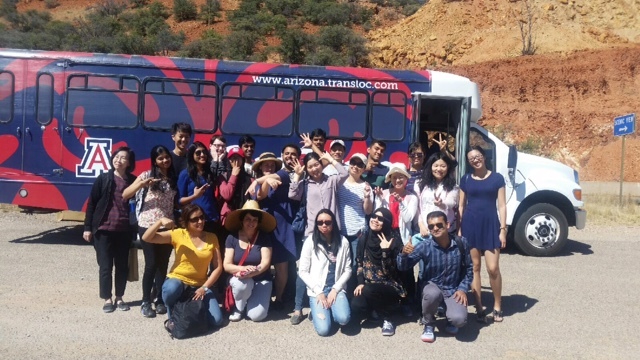 International Student Services (ISS) within the Office of Global Initiatives (OGI) organized the trip as part of its Totally Tucson series, where students have an opportunity to appreciate cultural activities in the Southern Arizona community. Conlogue’s team organized a tour of the famed Queen Mine, once the most productive copper mine in the state of Arizona. Students were outfitted in hard hats with headlights as retired mine workers took them 1,500 feet underground, telling stories of mining techniques, dangers, and drama. Bisbee experienced a significant population shift in the mid-1970s when mining activities lost steam and an influx of artists moved in to pursue their creative projects. After the mine tour, international students wandered the city, seeing evidence of the transformation in the colorful boutiques, galleries, and restaurants. As a fifth generation Arizona native, Conlogue was well-suited to lead the trip to Bisbee this semester. “Bisbee is such a neat place that I think gets overlooked. It’s kind of an unusual, unexpected experience to find in Southern Arizona. I’m also from the area around Bisbee, so I must admit having the opportunity to bring students to my home was part of my reasoning when we were planning the trips,” he said. International students also visited the Arizona-Sonora Desert Museum as part of the Totally Tucson series this semester. “The Desert Museum is an old favorite – we go there at least once a year and have been for several years. I think it is quintessential Tucson and it will probably be part of our schedule for years to come,” Conlogue added.